Fish communicate with sound, movement and electric waves. Their semantic sensory perception is extraordinary and complex. It takes some good amount of imagination to understand it. The lateral line is the main sensory organ of fish. This organ not only captures sounds, it can also sense tremors and currents. This line system, which detects gentle currents and vibrations, and senses the motion of nearby fish and prey. Sharks can sense frequencies in the range of 25 to 50 Hz through their lateral line. In addition some species of fish have a sixth sense. The electric organs, which govern this sense, can be best described in relation to the echo-sounder system used by bats. 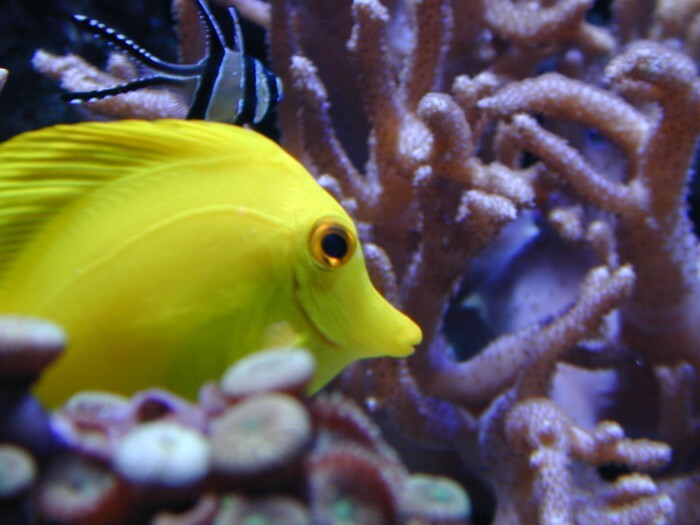 Moreover, nearly all daylight fish have color vision that is at least as good as a human’s. Many fish also have chemoreceptors that are responsible for extraordinary senses of taste and smell. Fish orient themselves using landmarks and may use mental maps based on multiple landmarks or symbols. All fishes possess spatial memory and visual discrimination. Here is Eal, Pink, Salmon and Vendace chattering about the bouquet of sargassum. This entry was tagged Color, electric, fish, lateral line, ocean, science, sea, sound, voice.